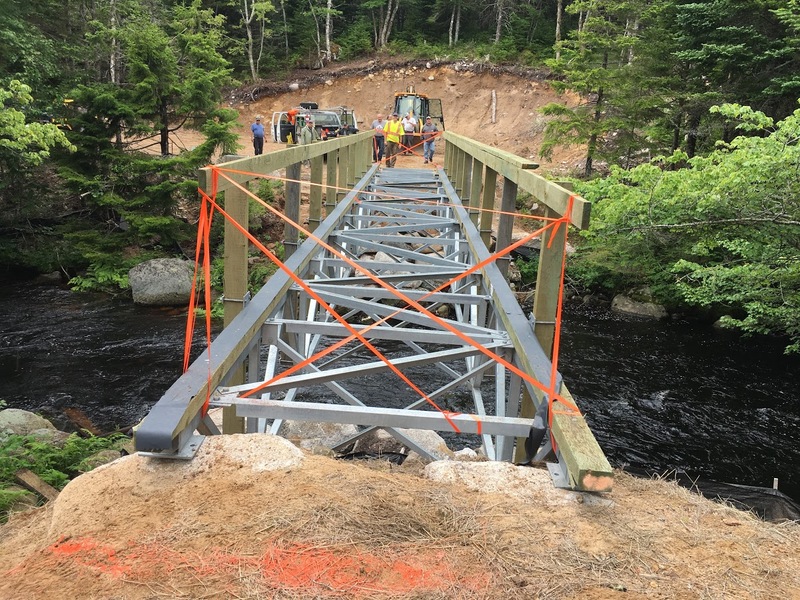 Yesterday, Mike Marriott Trust Board Member and President/SMATVA Safety Minded ATV Association, worked with his volunteer crew to install the new bridge at the Nine Mile River site. 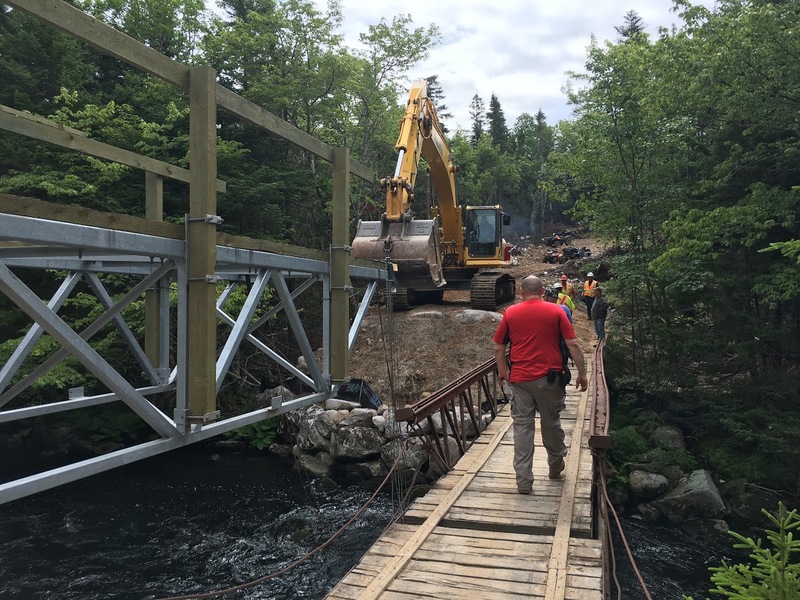 There is still work to do and the bridge will not be accessible for at least another couple of weeks, but the end is near. This five-year project has involved many volunteers, supporters and countless hours of volunteer time. It will be duly celebrated when it is completed – stay tuned. 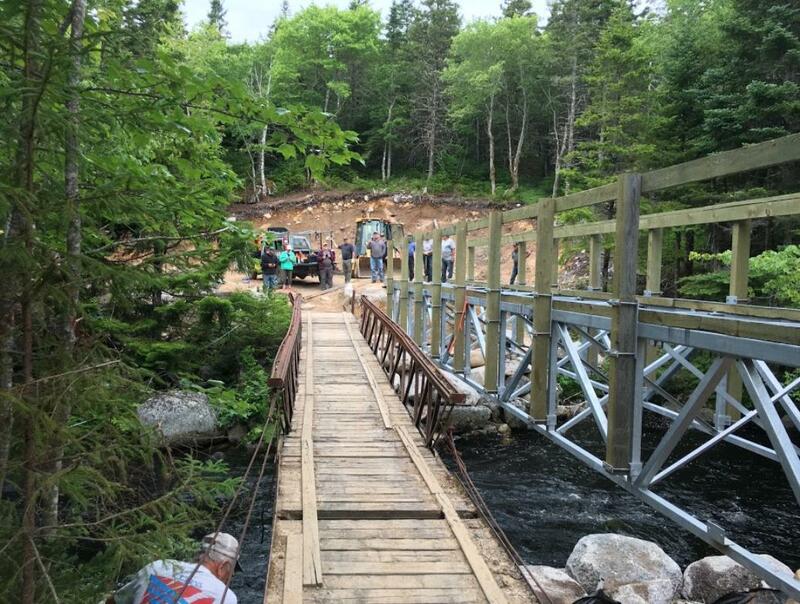 The new bridge allows safe access to trail users across the Old St. Margaret’s Bay Road.